Published: March 27, 2014 at 11:21 a.m. 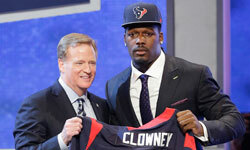 Updated: March 28, 2014 at 02:29 p.m.
Seemingly out of the blue, without the hint of a whisper or rumor, Chicago Bears general manager Phil Emery brilliantly added to his purposeful and dreamy offseason early Wednesday morning. 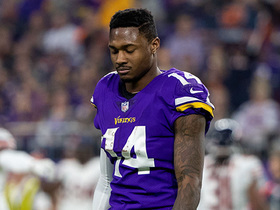 When Emery signed star defensive end Jared Allen to a four-year contract worth $32 million (with $15.5 million guaranteed), it capped a well-thought-out month of March with the ultimate free agency exclamation point. The gap between this team and the rival Green Bay Packers -- winners of the past three NFC North titles -- has narrowed greatly. In fact, one can intelligently argue that the Bears have the more talented overall roster. Green Bay, though, still employs Aaron Rodgers. And if the Packers and Bears played tomorrow or in Week 17, whether in Green Bay, Chicago or on the moon, I'd pick the Packers -- because of their quarterback. But that could change if the Bears' signal-caller takes the next step. Yes, Jay Cutler is now the single most important and pressurized player in the NFL's oldest rivalry -- and he's one of the most significant players in the NFL. Cutler has his skeptics. I'm not one. I think the eight-year veteran is up for the challenge and will make Emery look like a genius. He has no other choice. Last season, after backup quarterback Josh McCown replaced an injured Cutler with aplomb, head coach Marc Trestman rightly went back to Cutler the instant he was healthy enough to play. It was an unpopular decision among many Bears fans. To me, it was a no-brainer, as I wrote in a column at the time. It was a win for logic. Jay Cutler is a superior talent to Josh McCown, plain and simple. And right after the season ended, Emery immediately re-signed Cutler on a $126 million deal, which was also a fantastic decision. Cutler hasn't always played like a top-10 quarterback, but he's clearly a top-10 talent. Emery is banking on Cutler becoming even more consistent and dominant under the watchful eye of Trestman, a true quarterback/offensive guru. It's a good bet. Cutler improved last year as a player and leader. And when he wins, the critics will lay off of his demeanor. That's just the way it works. With the team Emery has formed around Cutler, the time to deliver is now. The Bears' defense was their weakness last season. As I wrote back in December, re-signing Cutler was the only play. The next step was to fill in the defensive gaps with savvy free agency moves. And Emery's moves have been extremely savvy. Allen greatly aids what was an ailing pass rush, as Chicago finished tied for last in sacks last season with 31. He's an upgrade from Julius Peppers, whom Emery jettisoned a few weeks ago. Peppers will help his new team, the rival Packers, but Allen is the younger and better player at this point. And Allen is a true leader, a true professional. It's a superb pickup for the locker room and practice field -- and an obvious boost on game day. Allen isn't the only pass rusher joining the fray. Emery wisely paid former Oakland Raider Lamarr Houston, a young (26), talented, well-rounded defensive lineman with his best football in front of him. Another spectacular move. Emery also overhauled the safety position by adding Ryan Mundy and M.D. Jennings. Chicago's refurbished secondary hardly resembles Seattle's "Legion of Boom," but this safety duo represents an upgrade from last year. It's logical. And you know that Emery will invest heavily on defense in May's draft, looking to acquire instant help at linebacker, defensive tackle or in the defensive backfield. You can focus on defense in the draft when you already have an offense this explosive. 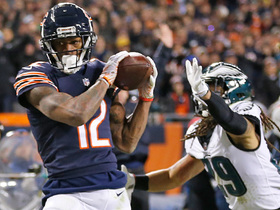 Brandon Marshall and Alshon Jeffery are beasts at receiver -- it's an unstoppable duo. Matt Forte is a great runner and receiver out of the backfield. Martellus Bennett is a weapon at tight end. And the line significantly improved last year, thanks largely to rookie guard Kyle Long. Which brings us full circle to Cutler. I believe he truly wants to win, and Trestman is the perfect coach to tap into his immense talent. This is their second offseason together. Time, experience and compatibility all matter in the growth of this ultra-important relationship. You cannot discount that. While Green Bay obviously serves as the juiciest measuring stick for Chicago, in reality, Cutler needs to step up for the Bears to keep up with the Joneses across the power-loaded NFC. These are heady times in the conference. Seattle, of course, just won the Super Bowl in astoundingly dominant fashion. San Francisco was a play away from beating the Seahawks in the NFC title game. Bruce Arians spent time at this week's NFL Annual Meeting talking about his Cardinals playing in this coming season's Arizona Super Bowl. (And general manager Steve Keim has added a great left tackle, a speed receiver, a pass-catching tight end and a gifted corner to that 10-win team.) I've already written about the Eagles' march to greatness, as well as the amazing competitiveness of the NFC South. Heck, the Giants, Vikings, Lions and Redskins have all upgraded in some form. And the talented young Rams have two top-15 draft picks. The NFC is packed to the gills with frighteningly good football teams. Hyperbole? No, it's accurate. The chase to be one of six playoff participants in this conference is going to be special. 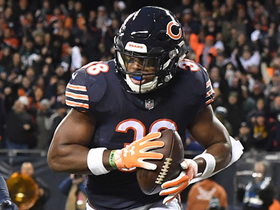 Emery's Bears are ready for prime time, but they only get there if Cutler shows that he's up to the most pressure-packed challenge of his career. With Trestman's guidance, I think Jay delivers.